I used to dream a bit about what it would be like to be a Grandma. Beyond the obvious reminder that time is rapidly marching on, the reality of being a Grandma is so much better than I ever imagined it could be! And that's even taking into account that I only get to see the little guy every few months, because my daughter and her family live about a 10 hour drive from us. My little grandson, Parker, is only 31/2 months old, but he is such a little character already! 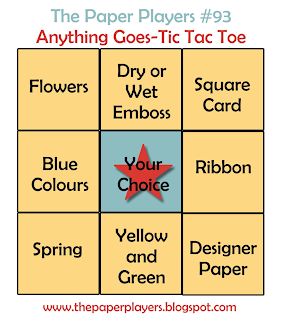 and the criteria from The Paper Players challenge for this week's Tic Tac Toe: I chose square card, ribbon and designer paper, but I also have some dry embossing happening and some blue colours! I used Perfect Plum and Pool Party cardstock, and the Twitterpated DSP I used is in Blushing Bride. At first I thought it might be Pink Pirouette, but six alliterative "P" colour names is a little too much, don't you think? The stamp set is Baby Prints from the Occasions Mini catalogue, which has now expired, but there is so much exciting stuff to come from the new Stampin' Up Idea Book and Catalogue 2012-2013! I'm going to order some the of sneak peek products today, and I will be showing them to you in the near future, so keep checking back. The new catalogue comes into effect June 1, so I will be hosting a Stamping Spectacular around that time, with great deals and prizes, based on the new catalogue items. Keep an eye open for that announcement, too. Gorgeous card!! And your grandson is adorable! I love all that hair. What a perfect Mother's Day card for a new mother! Love the baby footprints. I'll probably be sorry I didn't get them when I could. Enjoy that grandson. They're really special. Oh Heather, this Mother's Day card for Jaimie is so beautiful! You have a gift and you are using it to bring much joy and happiness into the lives of the people you love and care about. How wonderful is that! And to top it all off, we have the most adorable grandson in the universe!. He has gorgeous Blues eyes! The card is very special. I'm sure she will love it! He is SO cute! Such an adorable card for your daughter. Thank you for joining us at the Paper Players. 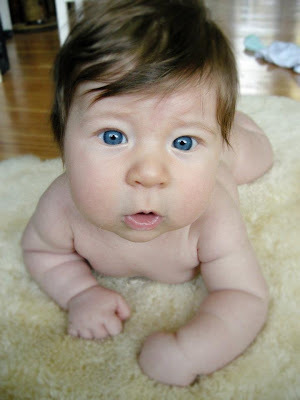 What a cutie--I don't think I ever saw a baby with so much hair! Oh, the card is sweet too--she'll love it! 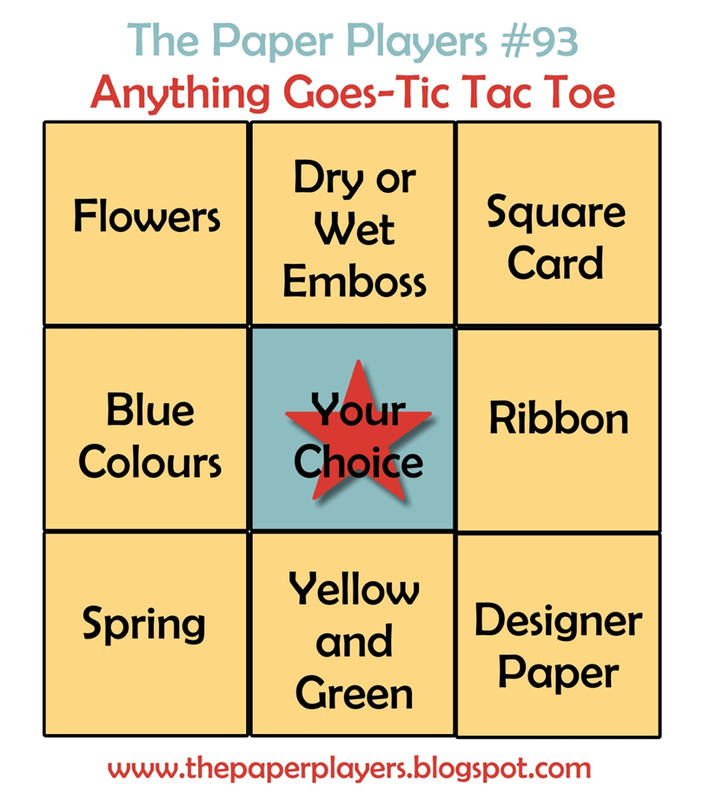 Thanks for sharing it with us at the Paper Players!